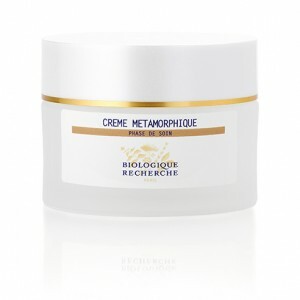 The Crème Métamorphique regenerates, tones the epidermis and redefines facial contours. Our main revitalising and repairing agent is cellular oligopeptide of amniotic fluid. This is an intense firming and restructuring treatment to leave your skin radiant and transformed. Ideal for toneless, sagging and devitalised Skin Instants®. Revitalising, protecting and repairing agents: Cellular Oligopeptide.